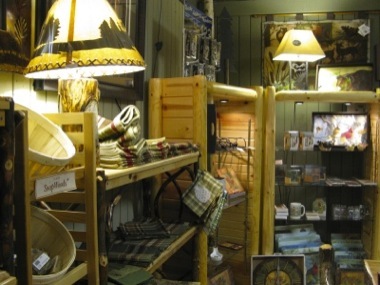 If you're interested in furnishing a vacation cabin or love a decor that reminds you of the deep woods, check out Northern Rustics on 8th Street in downtown Holland. 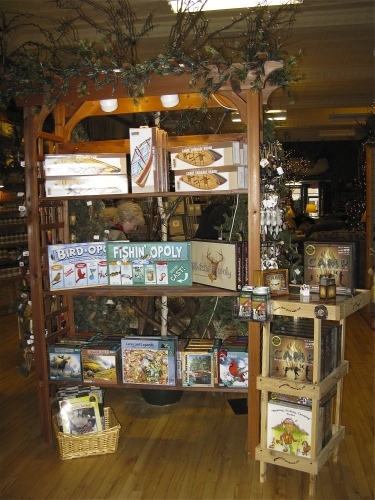 You'll feel as if you're on the other side of the Mackinac Bridge and are shopping along the Keweenaw Peninsula. 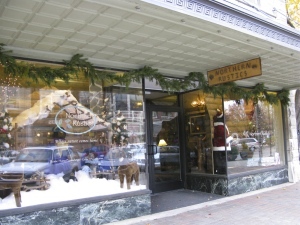 Open since October 2003, Northern Rustics works extensively with small family businesses, so the items purchased here will not readily be seen on chain or department store shelves. 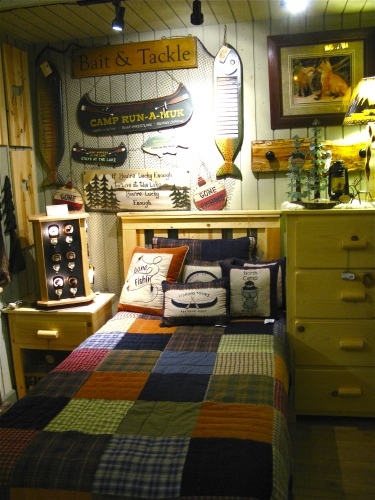 In fact, the idea for such a store was inspired by the shopping expeditions of owners John and Debi Whelan who found themselves combing Michigan for rustic furnishings for their own home. From the stuffed animal heads mounted on the walls (all real) to the stuffed Nature Babies (not real), you'll know at once that you are in for a unique shopping experience. The Whelans have thought of nearly every shopping need. 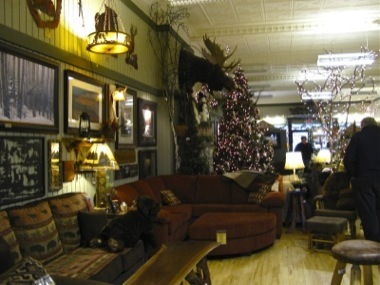 Food products include Aspen mulling spices and fireside coffee. And you can furnish everything from a bedroom, kitchen or living room with the pieces artfully displayed on the floor. 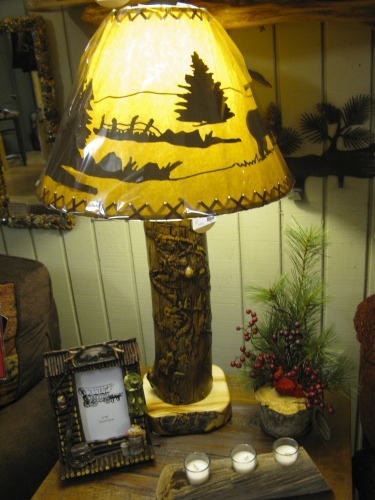 Don't forget to look over the lampshades and lamps, curtains, and wildlife rugs. 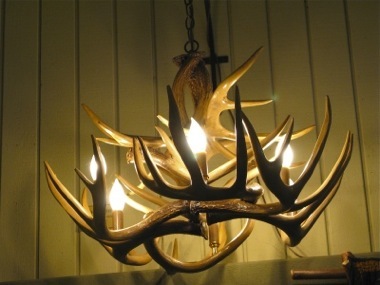 Overhead you will see some very interesting light fixtures, especially those made out of whitetail antlers. 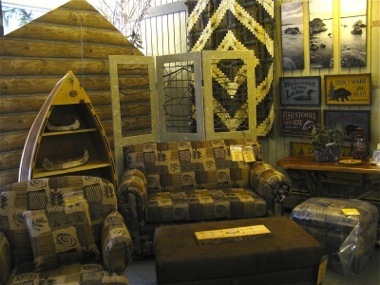 Furnishings range from Amish crafted red cedar and log furniture to items made from hickory, white cedar and walnut root. 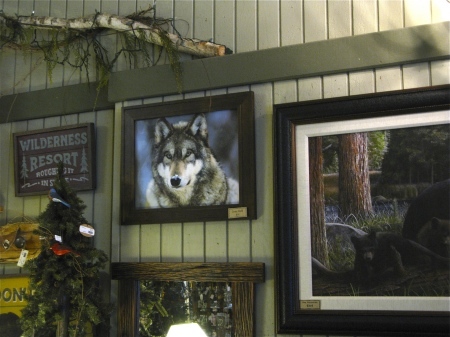 Whether you're looking for rustic cabin signs or framed nature portraits and photographs, Northern Rustics has a wide variety of wall hangings. Check out the clocks, switchplates and outlet covers too. Stocking stuffer alert! 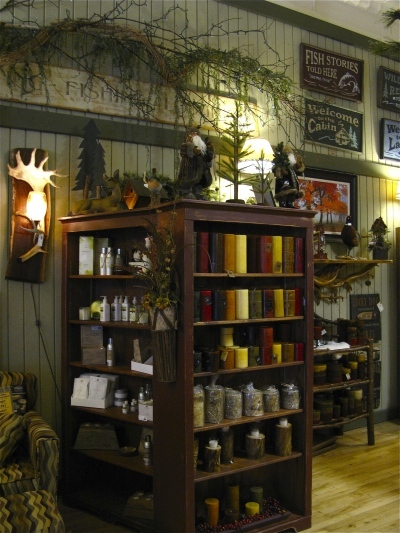 The store carries a wide array of nature-scented gift items: soy and pillar candles, diffusers, potpourri, hand lotion, and oil warmers. There is a corner devoted to plush stuffed animals and childrens books and, of course, games for the whole family. Bath coordinates are available in Adirondack, Campfire, Birch Bark and Pine Woods styles, along with accessories for the kitchen that include coffee mugs, serving trays and dinnerware. 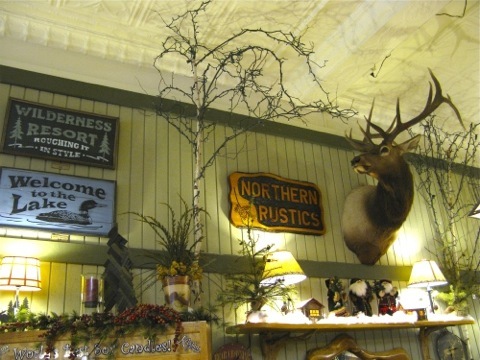 If you weren't a fan of back to nature decor, a visit to Northern Rustics may change your mind. 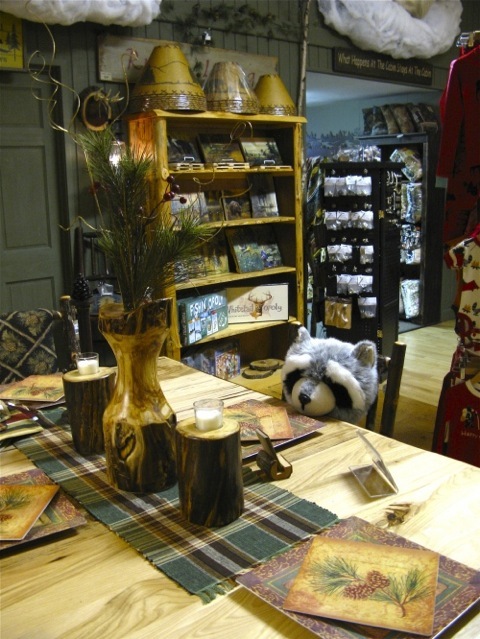 Spend some time breathing in the store's woodland infused air as you wander among the nature books, paintings, bedding, food products, furniture and much more. You'll feel as if you've been transported to a lovely back woods cabin.